Emergency dentists in Pompano Beach can help you with any dental emergency you may face. When tooth pain strikes, you may take over the counter medications to alleviate some of the discomfort, but it will only last for so long. Your tooth pain needs to be handled, which means you need to see the dentist. Allowing the pain to continue can disrupt your life and allow the condition to persist. Take a moment to look at the list of Pompano Beach emergency dentists below. If you are in pain, call one of the Pompano Beach emergency dentists below to receive the care that you need or give our 100% free hotline a call and let our staff do the work for you! A few weeks back I broke a wire on my braces and honestly had no idea what to do. I knew my dentist wasn’t open until Monday and the wire was wreaking havoc on my cheek. I am so glad I found Emergency Dentists USA, their site had such helpful information and the staff was so amazing! They found a local dentist that helped fix my damaged wire until I could see my normal dentist to get it replaced. There are many emergency dental options available to you in the Pompano Beach area. The first option available to you is an after-hours dentist. These dentists work later than the standard 5:00 pm cut off and you will find that in Pompano Beach many are open until 7:00 pm. These dentists often offer patients weekend hours as well. Second, there are 24 hour emergency clinics. Fortunately, Pompano Beach offers a 24-hour emergency clinic, Pompano Beach Family Dental Emergency Services, for those facing dental emergencies at all hours of the night. Lastly, you will find that there are walk-in clinics too. These clinics allow you to come in without an appointment to receive care. This is a good option for patients who need to be seen quickly, but they do not have an emergency. If you take a look below, you will find that we have provided a list of Pompano Beach emergency dentists that are open many different hours, including one open 24 hours a day. All you have to do is call the office of your choice to schedule an appointment for immediate care. Description Spending time at the beach and under the palm trees here is not going to be much fun if you have to do it with an infected tooth! Make sure you pick up the phone and call our hotline right away, to secure a place in the seat of a competent and caring dental professional. Description: Decay in teeth and the gums, cavities, abscessed and infected teeth, and cracked or loose teeth are just some of the things that patients nationwide seek out emergency dental services for, and this clinic is here to lend their expert hand, 24 hours a day Monday through Friday and Sundays. Description: The staff here has been providing stellar emergency and after hours dental care to this area for more than 28 years, and prompt and courteous service is always provided. Here you can obtain very high-quality service in English, Spanish, Portuguese, and Turkish. They are open on Saturdays for patient’s convenience, and have been known to call back on emergency issues in no less than 20 minutes! Description: Sage Dental is a clinic that is open on Saturdays for your convenience. You may need standard services such as a check-up or routine cleaning, or emergency services such as an extraction or root canal. Either way, the staff at Sage Dental is here for you on demand. Description: This clinic in Pompano Beach is open weekday hours: You can come visit Monday through Thursday until 5PM, Friday from 8AM until 2PM, and Saturday until 1PM. If you happen to have dental anxiety or any other issues, don’t worry, because there are plenty of sedation dentistry options available here. Description: Lazcano Family Dental is a Pompano Beach clinic that you can count on for all of your dental needs. You or any member of your family can show up here for emergency issues such as an extraction, or routine check-ups. They are also open on Saturdays from 9AM until 1PM which makes them a great Saturday clinic! When you visit a 24-hour emergency dentist in Pompano Beach, you can expect your visit to be similar to that of a visit to your general dentist’s office. When you call into the office to make an appointment, you should inquire about the cost of the appointment, the accepted payment methods, and also what insurance policies are accepted. When you inquire about the cost of service, you may find that you are only able to obtain general prices, as you may not know what procedure may need to be performed. Keep in mind that payment for your appointment may be due before or immediately following the procedure based on their office policy. When you arrive at the Pompano Beach emergency dentist’s office, you should arrive about 15 minutes prior to your appointment if it is your first time at the office. You will need to fill out some paperwork, which will include a basic rundown of your medical and dental health. If you are allergic to any medications, it is advised that you let the dentist know immediately and prior to the procedure being performed. If you have dental anxiety, you should also let the office know so they can accommodate you. If you have dental pain or are suffering from a toothache, you may have a dental emergency. 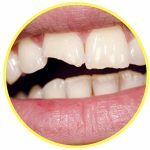 There are quite a few dental emergencies that can arise and some of them occur quickly such as a broken tooth or a knocked-out tooth. Other times, the emergency condition may have taken time to form and escalate to a point of severity such as tooth decay. No matter the type of tooth problem you may be experiencing, you should not wait to see an emergency dentist, as the condition may become worse. Emergency dentists in Pompano Beach do work around the clock to provide you with the dental emergency procedures you need. 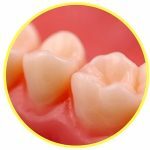 If you have lost your filling, the first thing you should do is recover it. Once you have recovered the filling, rinse your mouth out with warm water. You should avoid messing with the tooth and either place a piece of sugar-free gum into the hole or use a dental cement. You should make sure that you choose sugar-free gum, as traditional gum will cause irritation of the tooth due to the sugars in it. If you have chipped your tooth, the first thing you should do is collect the pieces of it, if you are able to find them. The next step is to rinse your mouth out with warm water and then apply a piece of moist gauze to any area that may be bleeding. If you do not have any bleeding but you are experiencing pain, you can take an over-the-counter pain reliever and place a cold compress on the exterior of your cheek where the chip occurred. Tooth trauma, such as a chipped tooth or knocked-out tooth, can occur in any type of accident from a car to a sports-related incident. It is important that you take precautions to protect your teeth, but if you have suffered tooth trauma, you should recover all pieces of your tooth and then rinse your mouth out with warm water. If the area is bleeding, place a piece of moist gauze on the site and apply pressure for up to 15 minutes. Emergency tooth extractions are sometimes required when you head into your local emergency dentist’s office. While dentists do try to save your teeth, there is only so much they can do, especially when the integrity of the tooth is compromised. Some alternatives to an extraction include a filling or a dental crown. If you have been told you need an extraction, do not put it on hold and have it extracted as soon as you can. The reason is because you do not want the situation to spread or get worse. If you delay care, you can suffer from serious complications. If you do have a dental emergency, you may think that you need to head to the local emergency room to receive care. While this does seem like the right idea, it may not actually be the best place for you to go. In fact, the emergency room only handles medical issues and does not have the equipment or capability to perform any dental procedures. Should you go here, they will only be able to look at your tooth, but cannot render treatment for it. A better place for you to go is to a local Pompano Beach emergency dentist. Here, the dentist will be able to perform the procedure you need and relieve any pain you may be experiencing. These dentists are usually open around the clock and they are experienced in handling dental emergencies. There are times that you should go to the ER even if it does involve your teeth, and some of those times include when you have sustained trauma, have hit your head, or possibly broken your jaw. 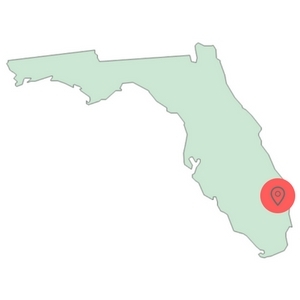 We do recommend that you take time to check with the local Florida dental society before you visit any new dentist. This way, you can verify the dentist’s credentials and licenses prior to your appointment. In addition to the local dental society, you can also check with the Florida Board of Dentistry and the Florida Department of Health License Verification Search. If you are experiencing a dental emergency and you cannot find or get in touch with a Pompano Beach emergency dentist, it is recommended that you call 911 right away or head to the nearest emergency room. Emergency Dentists USA is a portal designed to provide you with information only. The information you find on this site should not be used to replace the advice from a medical professional.